I once again commissioned a mini of one of my all time video game characters in chibi form from Martin Baker. I’ve been a fan of Lara Croft since the very first Tomb Raider game, released 1996. 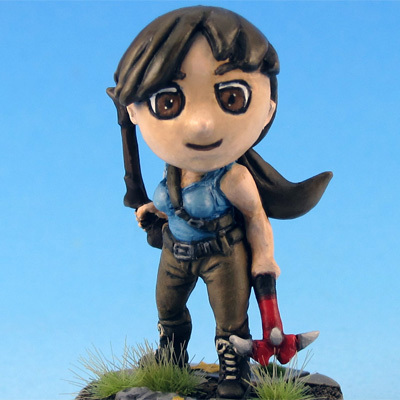 Still got the original game box sitting on a shelf. The re-imagination of Tomb Raider in 2013 by Crystal Dynamics was a fantastic way to reinvigorate the character and the franchise. 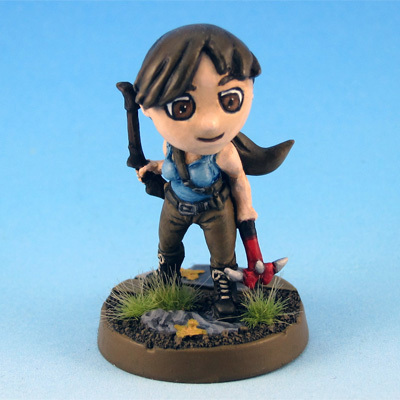 This model is based on the 2013 version of Lara, featuring her new signature weapons, the bow and the climbing axe. 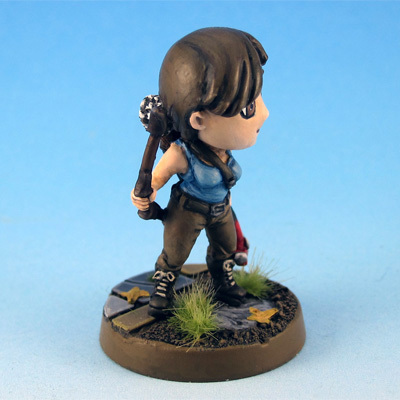 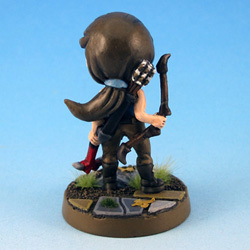 The model was painted in the classic Lara Croft color scheme. 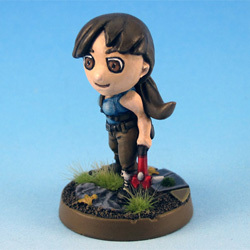 Lara was sculped by Martin Baker.